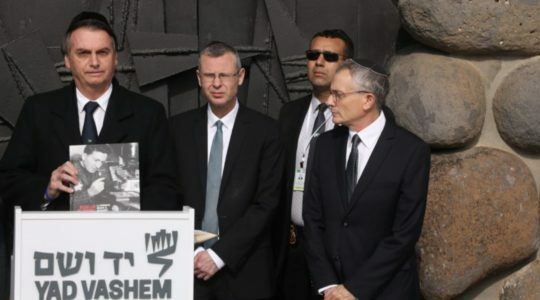 (JTA) — Ahead of the 50th anniversary of Israel’s reunification of Jerusalem, the Cabinet allocated an extra $220 million for a plan that encourages the city’s high-tech industry. “This is almost NIS 1 billion that we are investing in the development of Jerusalem, in technology and in companies,” Prime Minister Benjamin Netanyahu said Thursday about the Jubilee Plan, a five-year project initiated last year. “The face of Jerusalem is changing. There is an interesting technological development here,” he said, adding that the Israeli capital is now producing not only scripture but also software. The announcement was made three days before Jerusalem Day, a national holiday in Israel that marks the capture of eastern Jerusalem by Israel from Jordan in the 1967 Six-Day War. While Israel regards the lands captured in that war in Jerusalem as part of Israel proper, they are widely seen internationally as occupied by Israel. 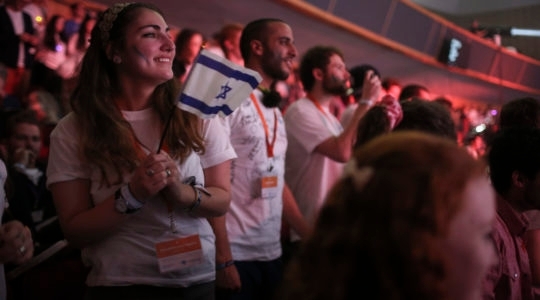 Approximately 40 percent of the program’s budget will go to “strengthening and establishing Jerusalem’s status in advanced industries,” the plan’s outline states, including through grants to Jerusalem-based high-tech firms and cinema and animation enterprises, as well as startup incubation platforms. Another 10 percent will go toward academia, enabling institutions of higher learning to upgrade their infrastructures and diversify their fields of research and instruction, the plan states. Fifteen percent of the budget will help promote Jerusalem internationally and attracting visitors, including participants in international conferences. And another $42 million, or 19 percent of the budget, will go toward improving infrastructure, with an emphasis on high-tech and industrial hubs, by making them more accessible to public transportation and with bicycle paths and beautifying them with parks. The remainder will become available for a second phase of the program once the initial goals have been reached, the outline says. Jerusalem, whose 870,000 residents make up 10 percent of Israel’s population, is among the nation’s poorest cities, according to the Israeli Central Bureau of Statistics’ 2015 report on the city. A third of its residents are Arabs. Among the Jewish residents, 32 percent describe themselves as haredi Orthodox and 17 percent are modern Orthodox. Only 21 percent define themselves as secular. Jerusalem’s population grew by 20,000 last year over 2014. Of the new Jerusalemites, 19 percent were Jewish immigrants from abroad. On average, Jerusalemite women have approximately four children, compared to the national average of three children per mother. Participation in the workforce stood at 51 percent in Jerusalem last year, compared to 64 percent nationally.